Rocky Port is an amazing art gallery filled with a variety of styles and talents. I was impressed by the beautiful paintings! 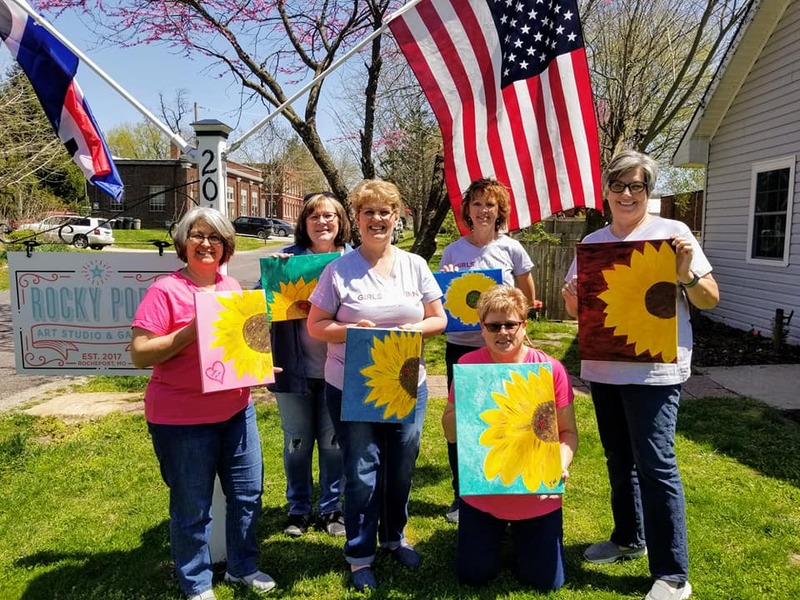 I took a group painting class with owner/artist Sharon, and had a wonderful experience! 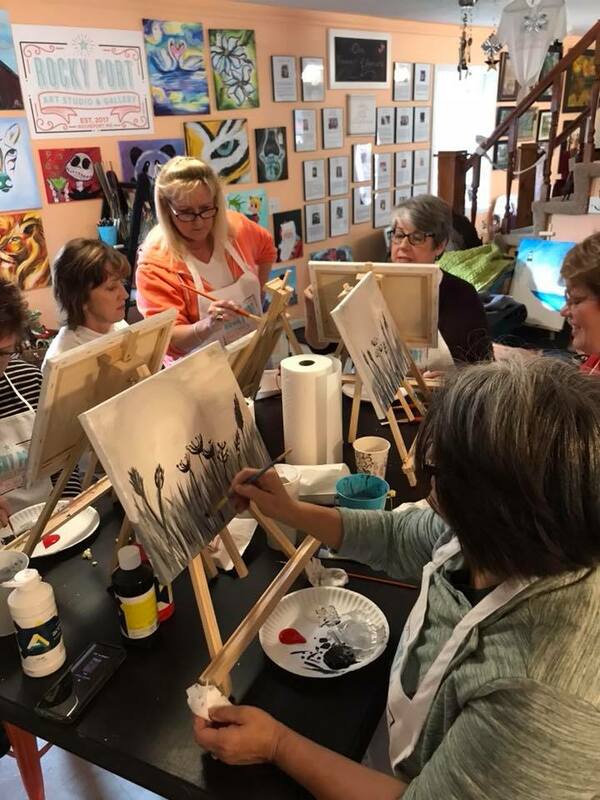 At first I was a little apprehensive, as I haven't painted since I was a child, but Sharon provided a FUN time, while teaching the basic techniques and encouraging us along the way!! Very nice Studio with a lot of different artists and media. Well worth a visit to find a treasure for your house or office. We had an awesome time at Rocky Port. The quality of items is amazing and everyone was extremely friendly. Nice to see such passion in one's work and love for the job. Love the wonderful ladies that have this business! Very relaxing atmosphere. I am hooked I will be back! Fun people, and a fun class in a relaxed atmosphere, with knowledgeable instructors!. They also sell beautiful items from local artisans! Highly Recommend! I went there for a relaxing girls’ day and was not disappointed! 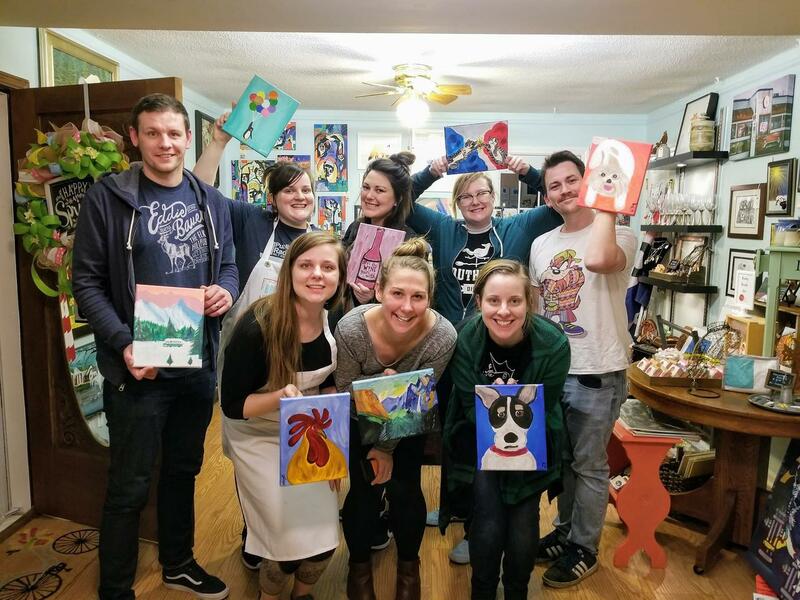 It was SO much fun to visit the Katy Trail Tunnel and see what we were painting before we started painting and then get to paint in the cute, homey studio. I would definitely recommend Rocky Port for anyone looking for a relaxing way to spend a weekend with friends! I visited today and cannot say enough good things about Rocky Port!! The ladies are so accommodating and it’s such a fun laid back environment. I cannot wait to go back with my girlfriends and paint some more!! We had a wonderful time! 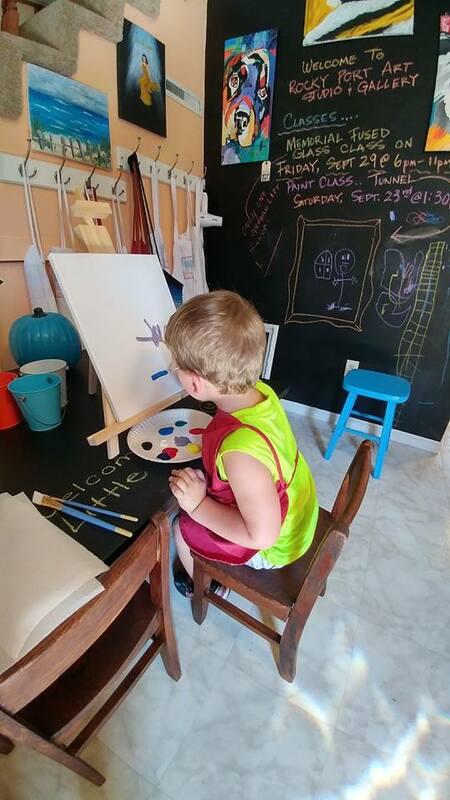 Friendly staff, fun atmosphere and we are proud of our masterpieces! Highly recommend taking a short drive to Rocheport, Missouri to visit this fun, high energy, unique and creative shop! 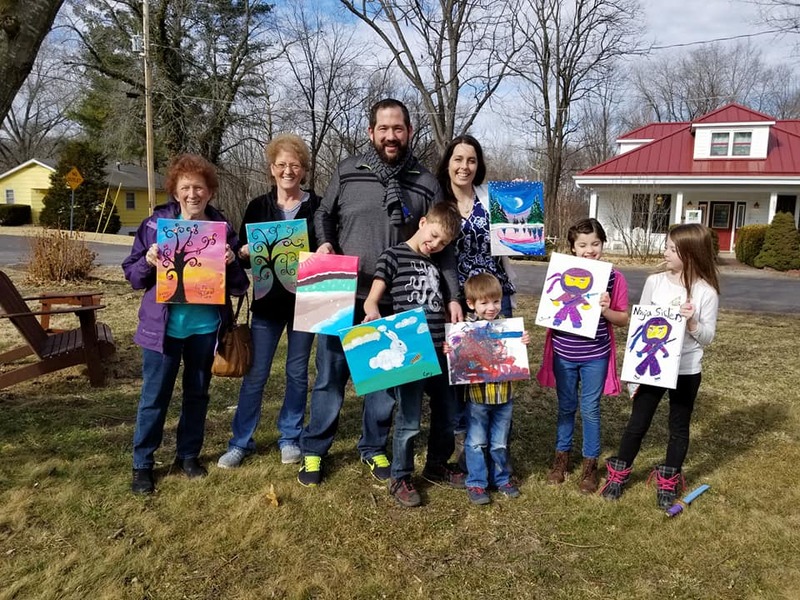 They have some wonderful classes that allow you to create a unique one-of-kind pieces of art made by you! Learned a new craft and was fun! Will definitely be back to learn new crafts. A great place to shop as well. Neat handmade items to buy. 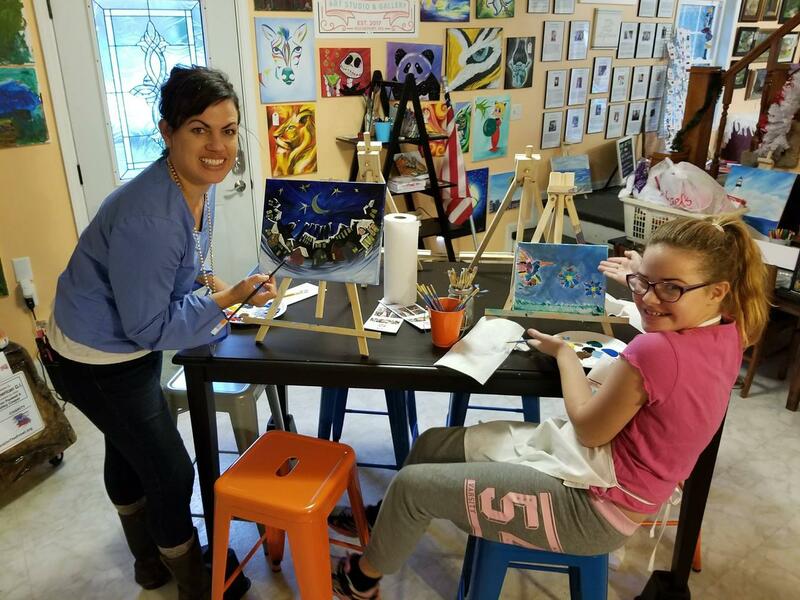 Rocky Port Art Studio & Gallery was opened on September 1st, 2017! 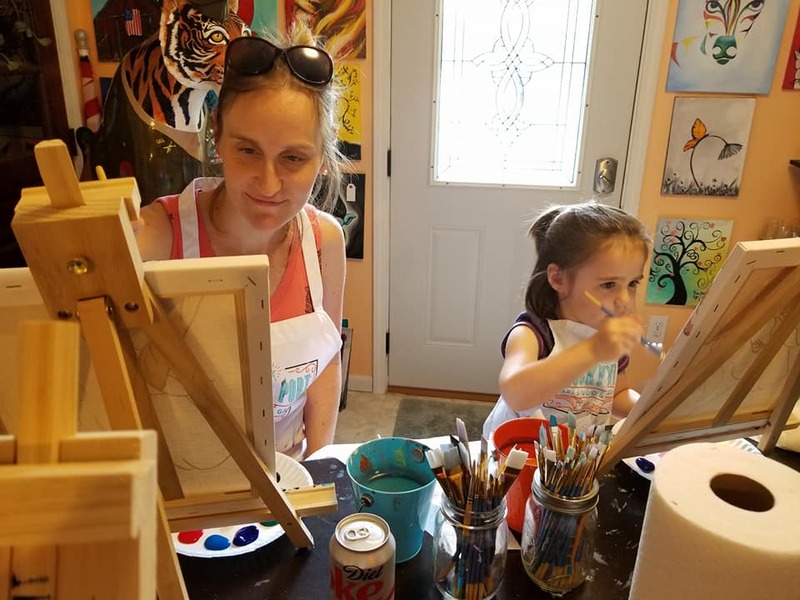 In 2019 Rocky Port has opened it's doors to local artists, as well as, traveling artists. 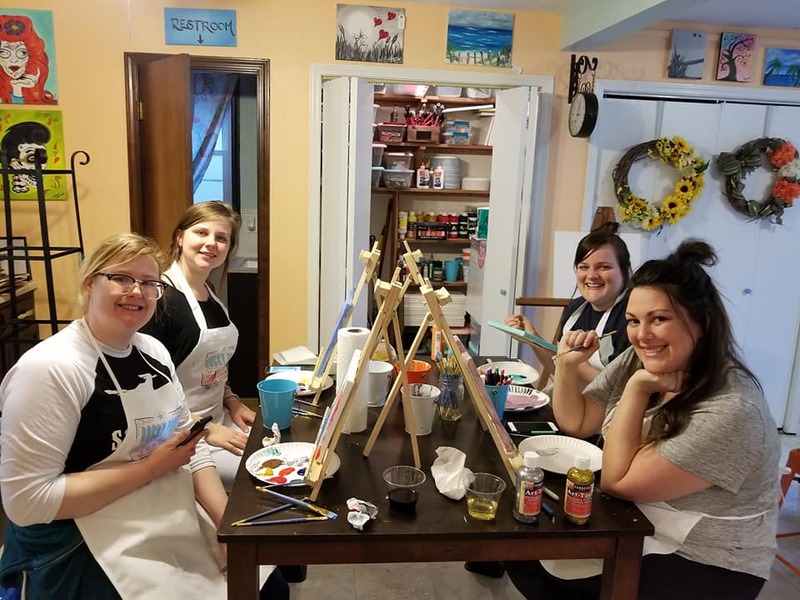 We can host up to 24 individuals inside and host many outside painting events too! To schedule an appointment, please submit the form below. Someone from our team will reach out within 24-48 hours of receipt of your message. Please note that your appointment is not confirmed until you receive a confirmation. You may also make an appointment by phone or email.